Thanks Ron! All I have are side views. Here's a couple more. Again, apologies for poor lighting. These last photos show a white with black bars on underside of tail. The stripes going sideways across the breast, could it be a Northern Hawk Owl? 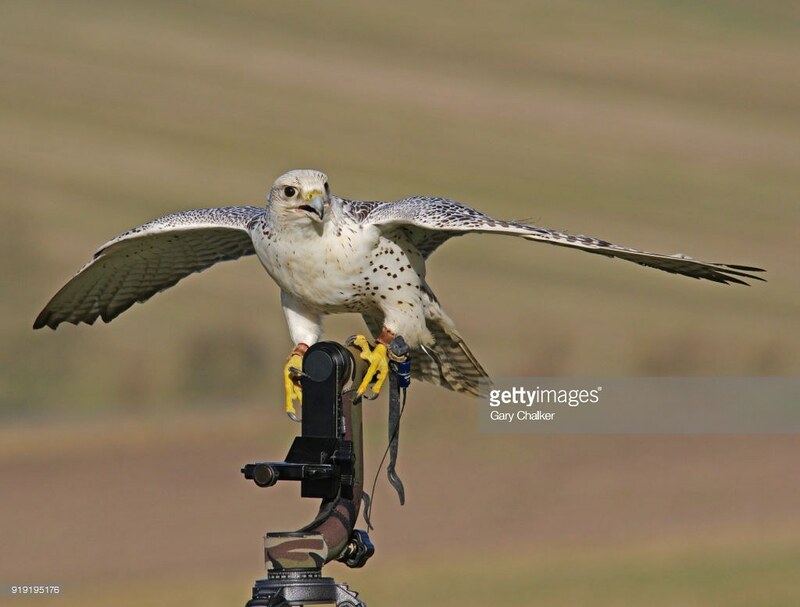 With the brick-red barring on the breast and belly, the grey back, fluffy white undertail coverts, short wings, and long tail, it can't be anything but one of the two North American Accipiter species that have brick-red undersides, i.e., Sharp-shinned or Cooper's Hawk (adult). These two species are notoriously difficult to tell apart because a large female Sharpie's size approaches that of a small male Cooper's (females are larger in most raptors) and size is very hard to judge without an object of known size next to the bird. Because the crown feathers are messed up (obscuring the crown colour and shape) and we can't see the terminal band on the tail, it's hard to tell which of the two it is. Both species are present year-round in western Montana. I lean toward calling it a Sharpie because it doesn't appear to have a pale nape or to have a crown that is darker-coloured than the back. 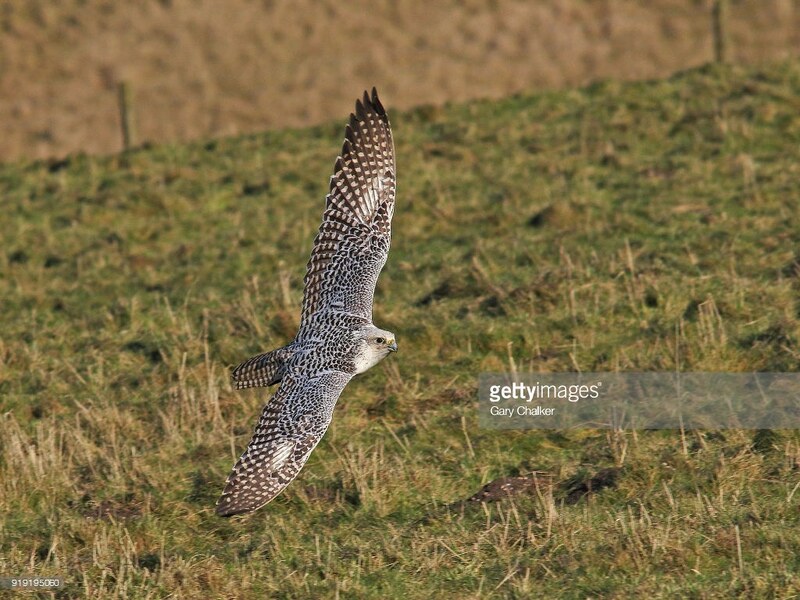 I went out with a mate and his Gyr Saker Falcon today to try some flight shots with my K-3ii/Sigma 300mm F2.8 EX DG. A Rapid bird making for fairly difficult shooting. Last edited by Ducatigaz; 02-17-2018 at 01:26 PM. Difficult perhaps, but you certainly nailed those shots, my favourite being the one over the field. I'll agree Pete, and because most of our Cooper's around here are the "gold head" looking variety. 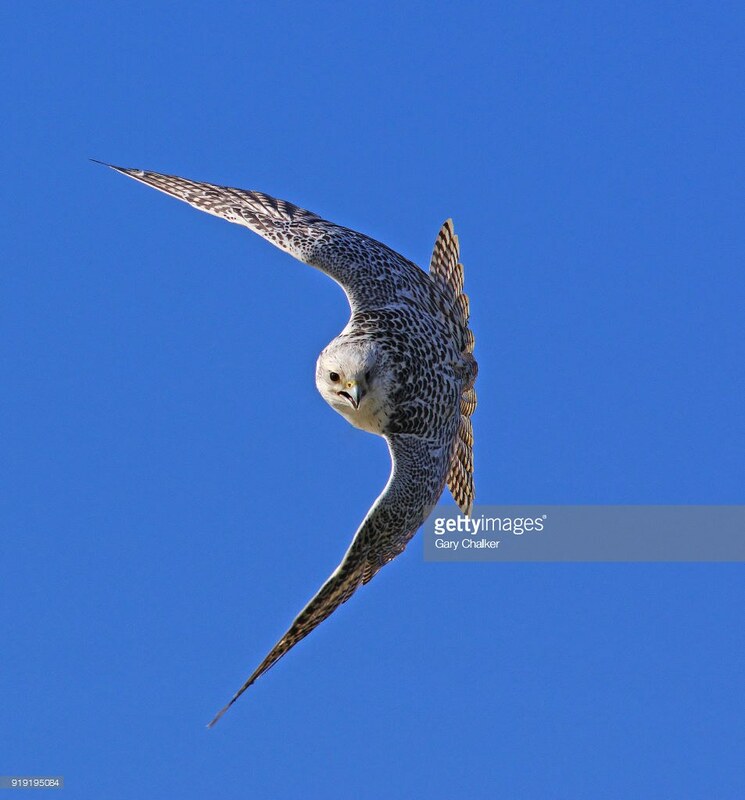 I'm still caught up in the feather structure around the perimeter of the face having that owl appearance with that outer dark line like the short eareds? Just matted down wet look on a sharp shin I guess? Excellent set. I like the first image best, perfect lighting and focus on the face. Fabulous series Gary, I like them all but my favorite is the second. Very well shot!! Beautiful bird too!! I have asked the gurus in our Birding Club.. we'll see! That would be my guess from the look but they're not particularly large birds. This was a large bird! I couldn't believe it was balancing on that narrow snag! Thanks so much, will be interesting in what they say! 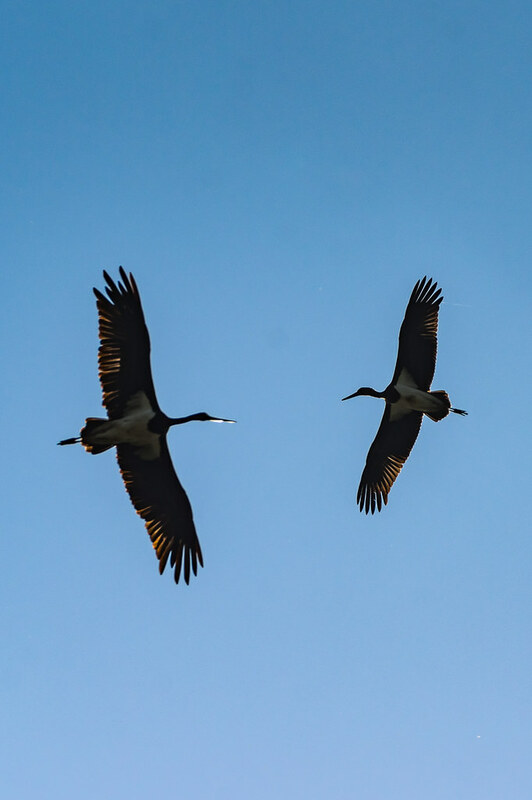 Backlog from the summer, a pair of black storks circling to gain height to begin their migration at the end of August, strong backlight. Gear used: Tamron 70-200/2.8 and HD DA 1.4xTC on the Pentax K-3. Cropped in so I guess pseudo 300mm?